The electron microscope took the idea of magnification to the next level. By tapping into shorter wavelengths and a focused electron beam, this type of microscope can far exceed the magnification power of a typical lighted model. 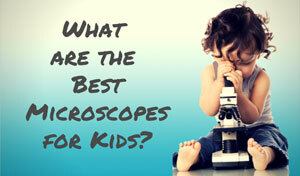 It has since helped scientists take a whole new look at the microscopic world. A stream of electrons is shot towards the specimen. The stream is focused into a thin beam using the apertures and lenses of the microscope. The electron beam hits the specimen, and the microscope records how the electrons react. The electrons may pass through the specimen, or bounce off and scatter. Every interaction gives information about the structure and shape of the specimen. The microscope detects and measures this electron activity and a picture is created from this information. Shape - The size, shape, and relationships between the particles that make up an object. Composition - Which compounds and elements the specimen is composed of and the amounts of each. Surface - The texture and topography of the surface of an object. Atomic Structure - How atoms are arranged in a specimen. 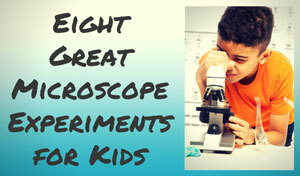 You can't do that with a light microscope! Due to the physics of a light beam, light microscopes are usually limited in their magnification to 500x to 1000x. In the early twentieth century scientists began exploring ways to break past these limitations. The first electron microscope was a collaboration between Ernst Ruska and Max Knoll. The first prototype was made in 1931, and was capable of achieving a 400x magnification. In 1933, Ruska designed a model that exceeded the resolution of the best optical microscope at that time. However the Siemens Company had purchased the patent back in 1931, so Siemens also became very involved in many developments of this technology. In 1937 Siemens funded the development of practical applications for electron microscopy, especially in the biological field. In this same year, Manfred von Ardenne was able to pioneer his scanning electron microscope. At that point electron microscopy wasn't something practiced commercially or by your average scientist. Yet in 1939 Siemens released the first commercial model, and the field has been very active and has seen many advances since the thirties. Today's models still function by using a particle beam of electrons. This beam creates light and makes a magnified image of the specimen. Since the wavelength of the electron is shorter, the electron microscope can achieve magnifications as high as 2,000,000x, a far cry from what's possible with an average light microscope. 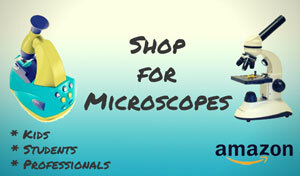 There are several types of these microscopes available, and each lends itself to a specific application. In general, they're used to observe biological and inorganic samples. 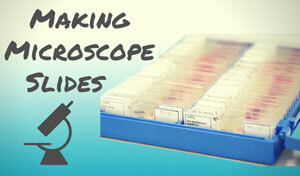 Some of these samples include: microorganisms, cells, large molecules, biopsy samples, metals, and crystals. Industry typically uses them for quality control and failure analysis. The TEM was the very first type of unit made for electron microscopy. It uses a high voltage electron beam, which creates the image by shooting accelerated electrons at the specimen. Some of these electrons are scattered while others pass through. Those that pass through are picked up by the objective lenses of the microscope. The machine then creates an image based on the spatial information it receives from the detected electrons. This image is then captured by a photographic unit, and then shown on a monitor or computer. Traditionally, the TEM has been limited by spherical aberration, an increased refraction of light rays that affects the sharpness of an image. Today there are several newer models that are designed to overcome this, allowing the TEM to play a big role in new research and development of nanotechnologies. The SEM (right) differs from the TEM in that it uses a narrow bean of electrons to probe and scan the specimen in a defined rectangular area. This type of microscope maps the change of electron energy that occurs during the scan. The image is built by detecting how the electrons are either reflected or absorbed as the beam scans the specimen. In terms of magnification, the SEM is weaker than the TEM. 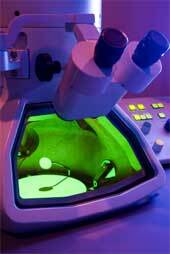 Since this microscope depends on the surface processes, it lends itself better to bulkier samples. Thus it can scan larger specimens and has a greater depth of field. The images produced are often a realistic three-dimensional image of the specimen. There are three additional types that blend the functions of the TEM and SEM. Are you ready to have some fun with acronyms? REM - The Reflection Electron Microscope uses an electron beam like the TEM, but detects the elastically scattered electrons instead of those that pass through. This is more practical for gathering surface information about a specimen. STEM - The Scanning Transmission Electron Microscope uses a probe to scan a thinned specimen. It combines the magnification powers of the TEM with the better surface detail of the SEM, allowing for a more complex analysis than using the TEM alone. 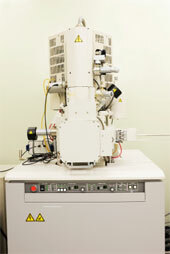 LVEM - The Low Voltage Electron Microscope merges the TEM, SEM, and STEM into one unit. The LVEM operates at a low voltage, typically 5 kV. This type of microscope has an increased capability for contrast, which is important when working with biological samples. The enhanced contrast can even reduce the need for specimen staining. The electron microscope has come along way since the early 1930’s. Despite all the developments and technological advances, the basic principle of Ruska and Knoll’s design are still present. 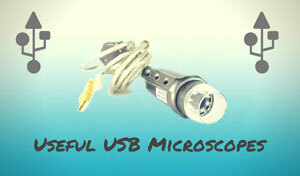 This type of microscope lets users get a closer look at the world than they could have ever imagined. 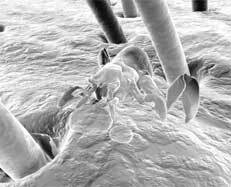 Disadvantages of electron microscopes do exist, despite being amazing tools. Learn more about problems such as price, maintenance, and sample preparation as well as what to do about them. Consider a used Electron Microscope from Ebay.